New from Eaglemoss Collections comes the definitive The Walking Dead figurine collection presenting characters from the TV show in meticulously rendered 1:21 scale. 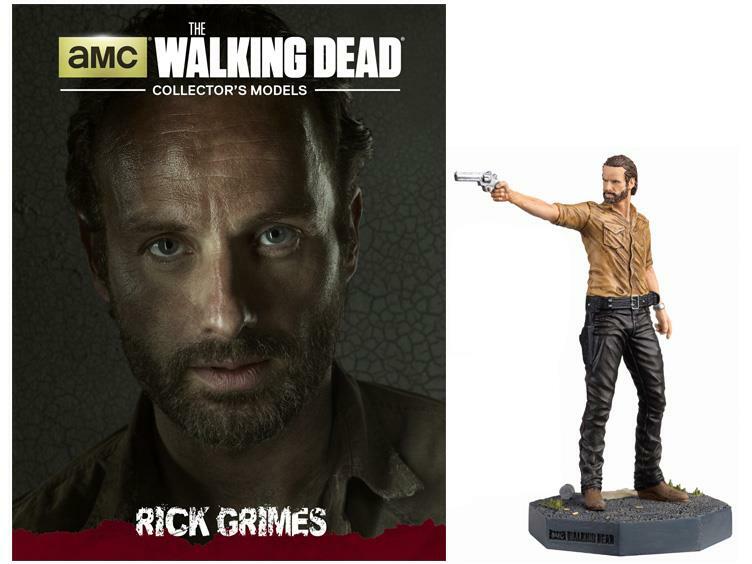 Approximately 3.75 inches tall, each figurine comes with a 12-page companion guide that explores their character, complete with a character profile, and key moments that have defined them. Every character is shown in a classic pose, cast in metallic resin and hand painted.